Construction on the 18 new villa homes and new clubhouse at The Oaks has begun. The new villa homes will be located on the same campus as the current Oaks villas, on the north side of Big Bend between Liggett and Berry roads. Residents of the new homes will enjoy all of the features of the current Oaks villa homes, which include weekly housekeeping, indoor and outdoor maintenance and a calendar full of activities. In addition, a new “Advantage Rewards” program will provide the first depositors who sign a contract with incentives regarding pricing and the ability to customize the look and feel of their new home. Some homes will be equipped with a two-car garage – others will have a one-car garage. As always, Bethesda’s “Moving with Ease” program will be available for those interested in pursuing the innovation service. The first homes are expected to be ready for occupancy in early 2017. 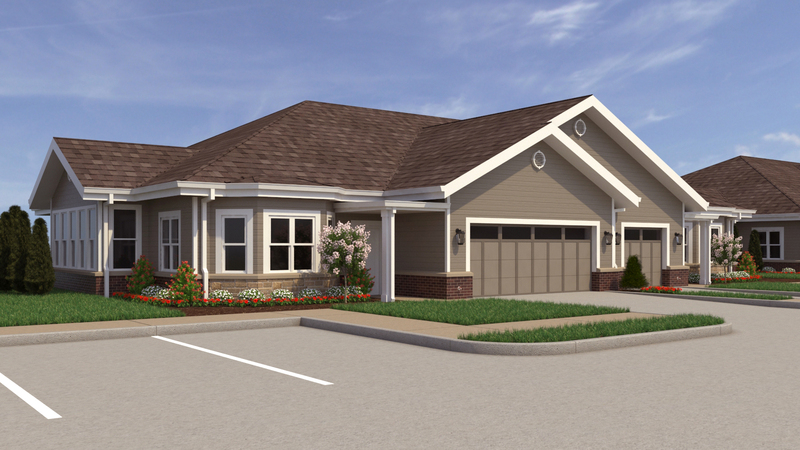 For more information about the new Oaks at Bethesda villa homes, contact Sherry Ehrler, Sales Counselor, 314-686-4250 or sdehrler@bethesdahealth.org.